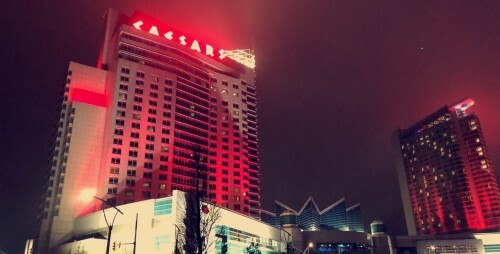 Caesars Windsor is lighting up red throughout the month of December in a wonderful show of support for MADD Canada’s Project Red Ribbon sober driving holiday awareness campaign. · Never drive impaired or ride with an impaired driver. · Plan ahead if you’re going to be drinking or consuming cannabis, or other drugs. Call an Uber or a cab, arrange a designated driver, take public transit or stay the night. · Call 911 you see a driver you suspect is impaired. For information on the signs of an impaired driver and what to do, visit our Campaign 911 page. Working with local partners and area businesses, MADD Windsor & Essex County is asking residents of Windsor & Essex County and neighbouring towns to tie a MADD Canada red ribbon to their vehicles, key chains, purses, briefcases and backpacks. The red ribbon, as well as our red ribbon car decal, symbolize a person’s commitment to drive safe and sober during the holiday season, and reminds other motorists to always drive sober as well. The sober driving message is especially crucial in this, the first holiday season following the legalization of cannabis. Red ribbons and car decals are available from: MADD Windsor & Essex County by calling (519) 791-9623, by emailing maddwin@yahoo.ca; the MADD Canada web site at madd.ca; or local police service headquarters.